One of the highlights of my recent visit to Kansas was the opportunity to see Mississippi Kites. 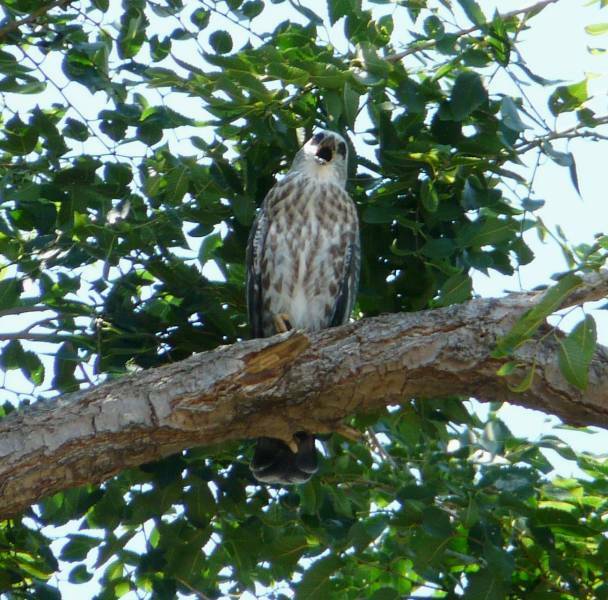 This raptor is common in towns, primarily because that’s where all the trees are. They feed on large insects, such as cicadas and dragonflies, and spend much of their time in the air, making them nearly impossible to photograph with a point-and-shoot camera. This juvenile spent much of the day in a tree by the house where I was staying. Young kites have an attractive pattern, with streaked breast, scaly upperparts, and banded tail, but the adults are a stunning pearly gray. You’ll just have to trust me on that. 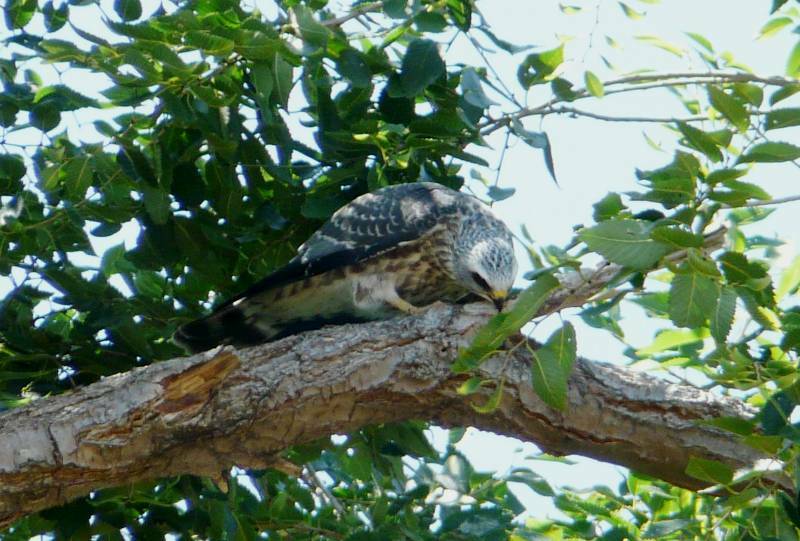 When hungry (all the time), the young kites make their long piercing PEE-PEEeeeeeee calls. Eventually, a parent comes by to drop off a large insect and then quickly takes off again to continue hunting. 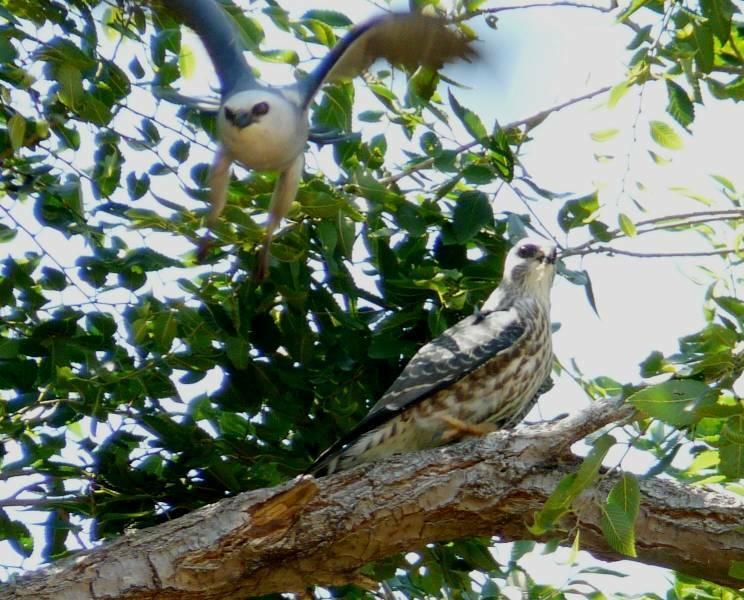 After downing the insect, the young kite wipes her bill on the limb and waits for her next mouthful to be delivered. 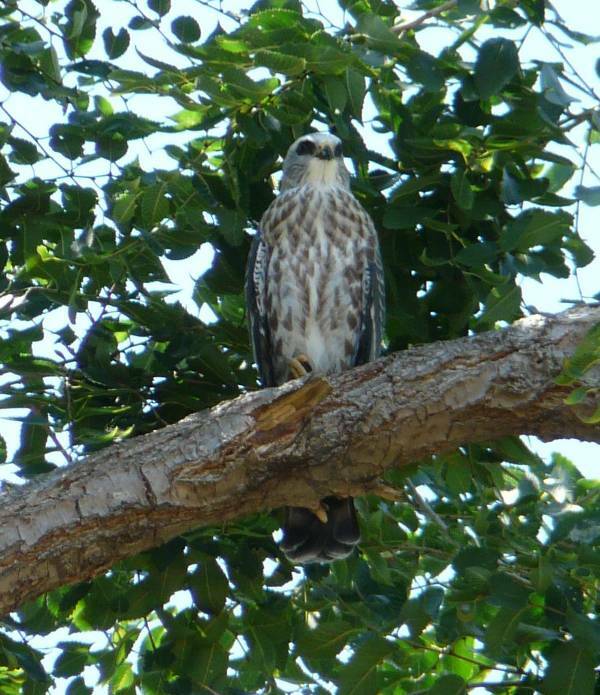 This entry was posted in behavior, beyond OR, species profile and tagged Mississippi Kite. Bookmark the permalink. Descriptions of over 250 of the best birding sites in Oregon, checklist and seasonal abundance chart, additional resources.